Time to check the girls and schedule that mammogram! Most of us, in one way or another, have been touched by breast cancer. 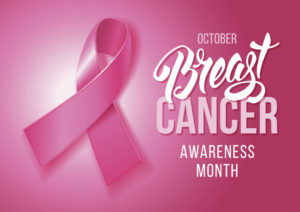 Whether it is us, a wife, mother, sister, daughter, aunt, or friend who is/was affected, we all know someone who is a survivor or has fallen victim of this insidious disease. According to the Center for Disease Control and Prevention (CDC), this is the most common cancer among American women. More than 240,000 women are diagnosed with breast cancer each year and more than 40,000 women die from the disease. Age and gender also don’t make one immune. While most breast cancer is found in women 50 years old and up, about 10% of all new breast cancer diagnoses are in women younger than 45. And, while a lot less common, men can also get breast cancer with less than 1% happening in males. But breast cancer is treatable and beatable if caught early enough. When detected early, and the cancer is still in the localized stage, the 5-year relative survival rate is 100%. Many women catch their own cancer, finding lumps before even seeing a doctor. Monthly breast self-exams (BSEs) can be key to catching any changes in your body that warrant attention and further investigation. However, regular mammograms are also critical to early detection and should not be ignored as they can detect the cancer even before lumps can be felt by you. With the continued rise in health insurance premiums and costs of health care, many within our community may not have coverage for well checks and preventive testing such as mammograms. But no woman should go without such an important test that can provide early detection and potentially save their life. 1. National Breast Cancer Foundation, Inc.
4. The Centers for Disease Control and Prevention (CDC) coordinates the National Breast and Cervical Cancer Early Detection Program, which provides screening clinical breast exams and mammograms to low-income women throughout the United States. 6. Try your local YWCA Encore Plus Programs with services provided on a sliding scale. Screening mammography is available to women 35 years and older who are medically underserved. 7. With October being National Breast Cancer Awareness Month, many mammography facilities that would normally be full-price are offering free or low-cost exams for women. National Mammography Day is Oct. 17 so some facilities offer reduced cost or free mammograms just on that day while others extend the offer for the entire week or month. Check The American College of Radiology and search for these facilities in your area. The facilities that are participating will be listed with a pink ribbon designation.